At first glance it looks like a baby's sock hanging from a mini oil derrick, slowly dripping the black liquid into the cup below. OK, maybe it's closer to a Chemex than I'm making it sound, but the "typical" -- or "tipico," as restaurant menus across the country will remind you -- percolador style of coffee preparation in Costa Rica is certainly unique. These little percoladores are common throughout Costa Rica. Ground coffee is scooped into a small pouch with a cheesecloth consistency, and hot water is slowly poured over the top. Gravity provides the only pressure on the grounds as the water slowly filters through the bag and into the coffee cup below. Like a Chemex, this style of coffee allows the brewer more control over how the coffee percolates. The small size of most percoladores -- about six to ten ounces -- also allows for a fresher, made to order cup of coffee. Whenever you travel somewhere, you'll invariably hear about the food, clothing and culture that are "typical" of a place. In my personal experience these items are more like a tourist vision of a place. For example, we were in Monteverde on September 15, Costa Rican Independence Day. The streets were packed with parades of school children marching and playing music down the city's sinuous streets in "typical" dress: white shirt and pants with a scarf, and a floppy canvas hat or cowboy hat for the boys; girls wore layered red, white and blue dresses with their hair tied back and braided. This wasn't a common look on the streets of San Jose -- to say the least. 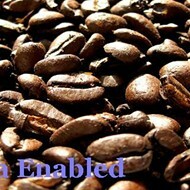 But the "typical" method for serving coffee still has relevance for the average tico coffee drinker. A growing coffee culture in Costa Rica means that more and more espresso machines are finding their way into restaurants and even roadside cafés. On my recent trip, though, I never once found coffee served in the traditional style. At first I thought European-style espresso machines might be muscling this traditional style out. Then I realized that of the three times I've been to Costa Rica, this was the most touristy. On previous visits, I'd enjoyed typical coffee at a roadside café along the low rural plains of Limón towards the Caribbean and at a local mountain-view restaurant. But along the more tourist-oriented Monteverde-Volcano Arenal-Pacific Coast route we followed this year, the percoladores were found only in gift shops. In this setting, the percolador reached an absurd level of kitsch: Some were so outlandishly big you'd need a small trashcan to catch all the coffee. While the "typical" costume is few and far between for the average Costa Rican, it seems that this charming style of brewing is still in common use. It's these small bits that make Costa Rica such a wonderful place to visit. The country has all the modern amenities one would expect, but it still embraces simpler ways to doing things. 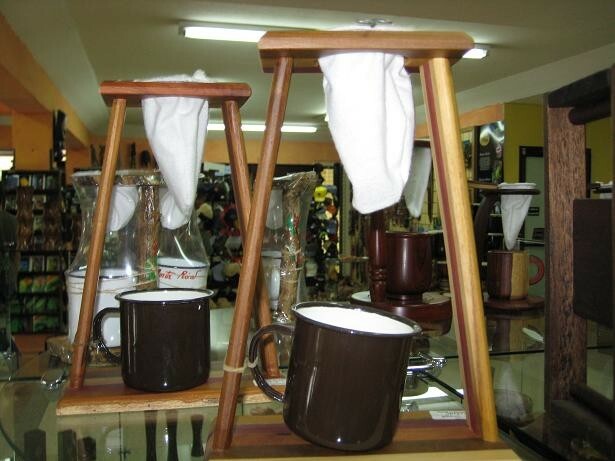 Percoladores are just another small pleasure to enjoy in Costa Rica's coffee culture. Zach Dyer is a writer living in Saint Louis. He did his thesis research on coffee farmers in Southern Mexico. 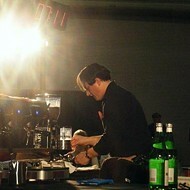 Since then, he has visited coffee plantations in Costa Rica and Mexico as well as roasters and cafés across the U.S. He blogs about coffee for Gut Check every Wednesday.